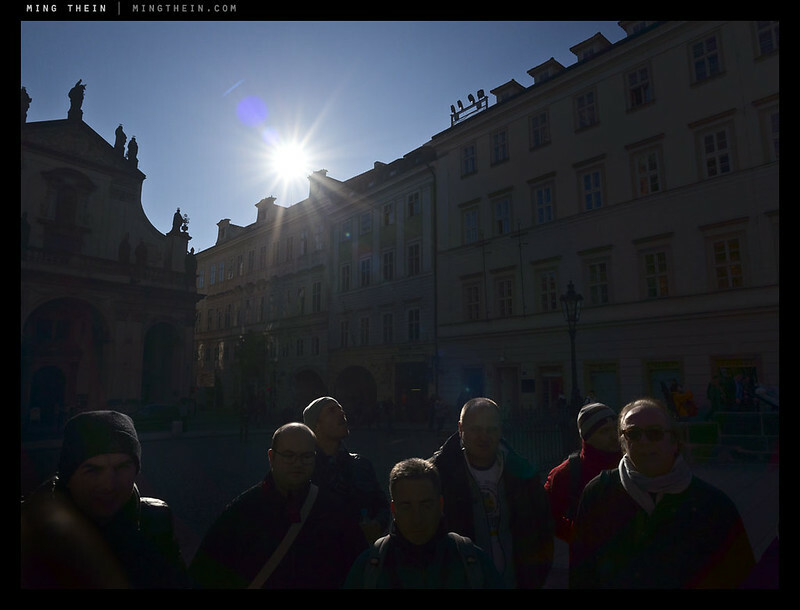 Shot with a Ricoh GR, Olympus OM-D E-M5 and Panasonic 14-42 X pancake zoom during the October Prague workshop. Street photography is something I really admire. It’s not just like that. You have to think before you push the button, you have to tell a story. I feel from this amazing photos a little bit of mystery. 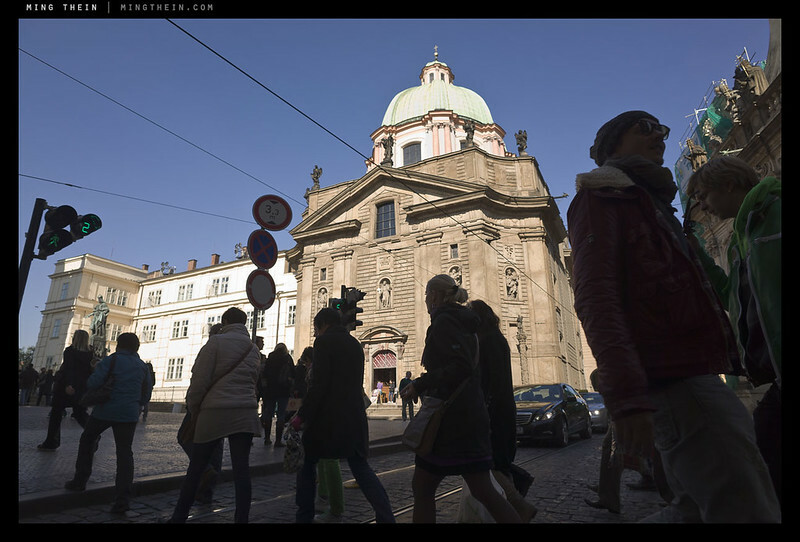 Prague is a beautiful city, I’ve been there, and it’s also mysterious. Good article and #3,5,7 are my favorite images due to the light in them. There are many styles of street photography and I can appreciate some more than others but don’t get why shooting people sillouettes makes the photographer souless. Just saw Nebraska and enjoyed the B&W cinemaphotography. Good light is a common thread in a lot of great images. When will you post some 4×5 work? Interested in how that journey goes. 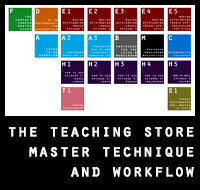 4×5: once I produce some images I’m happy with. 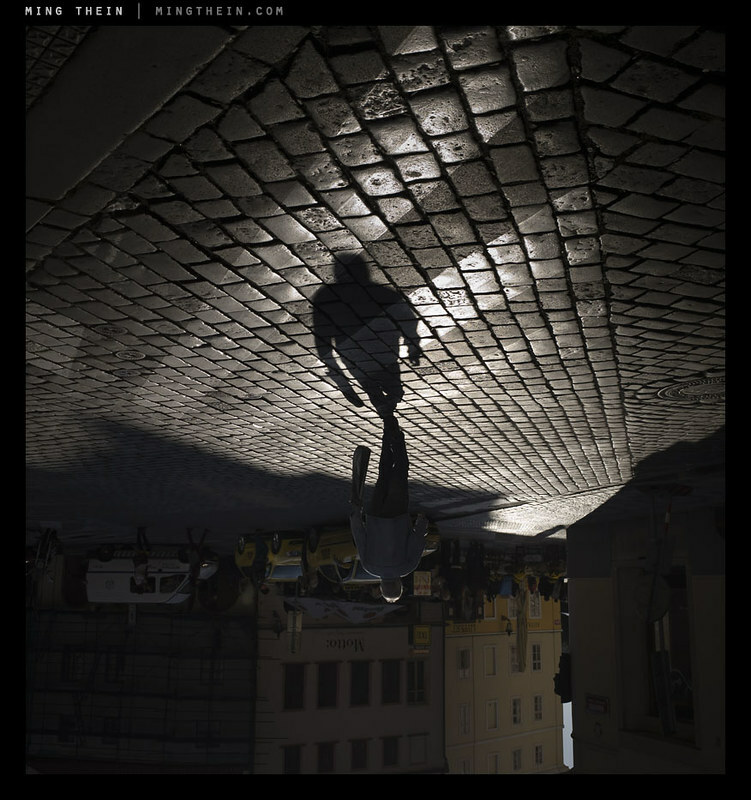 Reminds me of one of your many tips, “look for shadows”. I know the tip pertains to light but like you said I don’t think it’s the end of a chain of thought. I like the idea, the style and it’s for sure interesting! This is a terrific little essay. 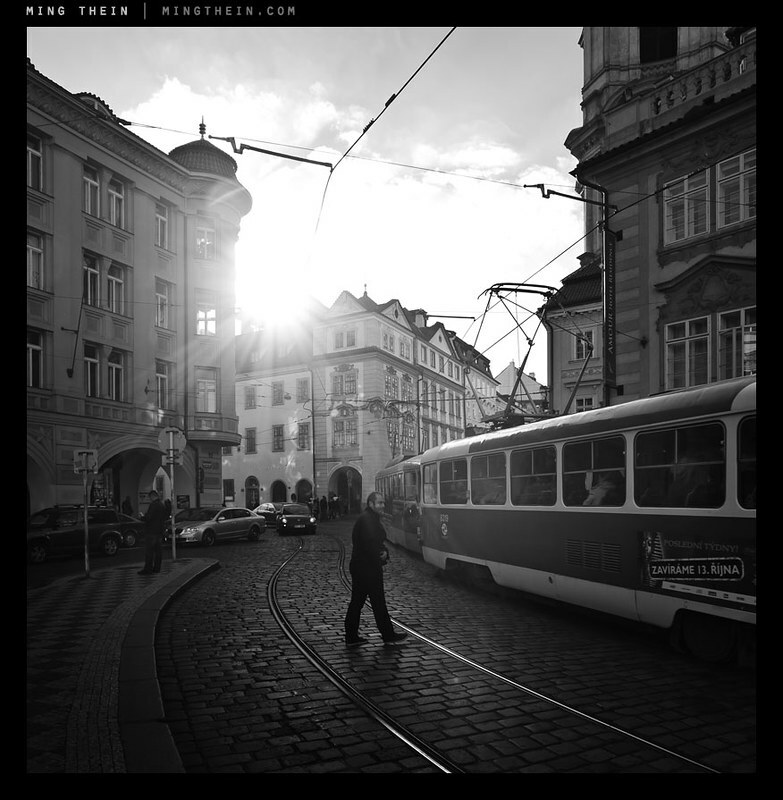 I particularly like the image of the guy crossing the street with the trams. 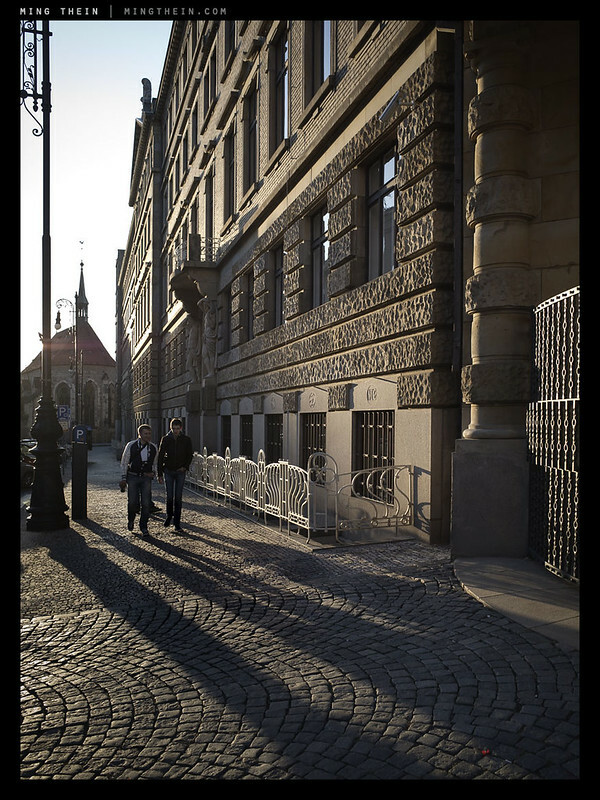 You make great use of light and shadow, and incorporate some amazing detail from the cobbled streets and the building architecture. Really well done. With reference to Keith’s comments, every one of these photos has a human element. That allows one to connect emotionally. Some people do; some cannot. Reference Mark’s last comment. He connected (Mark, please excuse the liberty with your name and interpreting your comments). Many things in this life are “in the eye of the beholder.” The nice thing is that we can literally and figuratively close our eyes when we choose. The two shots by the river (with the totally silhouetted people) are interesting in the context of what is being discussed. In particular the second one, with the couple, is “impersonal” (in the sense of that they are silhouettes, figuratively stripped of their identity) but also “intimate” (the body language and pose). It’s a nice contrast. Very nice. I have the same serious problem of wanting to go back where I’ve been (Prague, Venice, Patagonia, Galapagos . . . ); it’s a long list of incomplete and unfinished business. And competing with all the places I am still trying to get to. When you look at the photos you start wondering where all the rest of them are. Well, still there waiting for you to come back. What I like best about your current set is the light and shadows. You really made good use of them, even with the backlit bald heads. 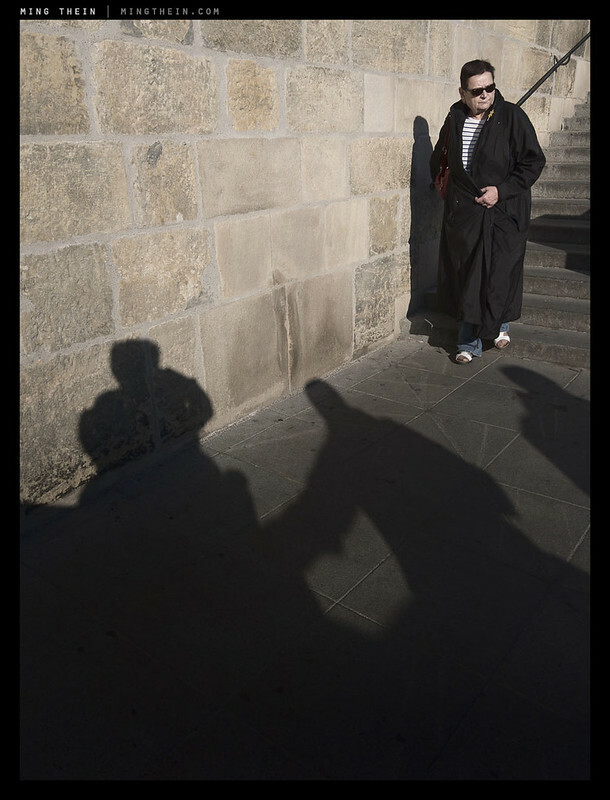 As important as well know that light and shadows are, it’s odd to me that it rarely comes up in discussions of street photography, or even in the street photos themselves. You’re making me realize again (and again) how important it is to get up early and out before the sun gets to high. In fact, to accompany the sun as it rises and changes all the images along the way. So, great use of light and we all have to be impressed with what you’re doing with those two cameras and lens. Light and shadows are the foundation of all photography. With no light there is no image, and with no shadows you have no definition of spatial relationships or texture. I admire many of your landscapes and still lifes. There’s thought, heart, and, hey, even soul in them, which makes me stop and take the time to really look at them. Your street photographs… well, I agree with much of what was said in the photo essay that started this series of discussions. When I first saw your photo essays of various cities, I thought maybe I just wasn’t getting what you had done. There are occasional shots of isolated subjects and shots where you used more of a still life approach to crop a fragment of the street that I enjoyed, but even after repeated viewings and your explanation that you’re not an emotional person, that you are interested in the idea of MAN and not A man, or that you don’t wish to violate personal space, etc., most of the street photos you have posted still feel uninspired, pedestrian, and faceless, or authorless. They look like photos taken by someone who had a few days in a crowded foreign city, perhaps in the context of a photo workshop, and felt that he had to bring back a memory card’s worth of photos from that city. He does not feel comfortable shooting strangers and did not have the time, heart, and/or the energy to really engage the place and the people in it, but pressured himself to shoot. And when he returned home, he was a bit too lenient during editing, like he was putting together a Flickr album with a general, easy-to-please, audience in mind rather than solely himself and his standards. That said, I do see more keepers in this set than the previous sets that lead up to this. I like the 3rd, 4th, and the last. Like other readers have written, the facelessness of man in society is not a modern thing, and it CAN be photographed with heart, soul, or whatever it is that makes a picture much more than just a faceless picture. Have you seen Fan Ho’s work? I suspect the unpredictability is what people think of as ‘soul’…that just isn’t me. Ooh, someone else who knows Fan Ho! I bought The Living Theatre a while back. Absolutely love Fan Ho. I’d still love to go back. I don’t feel like I’ve anywhere near covered everything. Can’t resist one more comment. To simplify somewhat, where the faces are visible it tends to make the “person” the primary element of the photo with the rest adding context; where the faces are indistinct, or the shadow is the human element, they tend to be elements of a larger context where the landscape, street or architectural assume greater importance, but where the human element allows us to connect as humans to what could be rather cold and somewhat abstract setting. I need to think about this…. You make me think. Ming, this has been a very interesting and thought provoking series. A couple of observations on the photos and subject matter. I only felt drawn to really look at the “person” in the two shots where the faces are very clear. 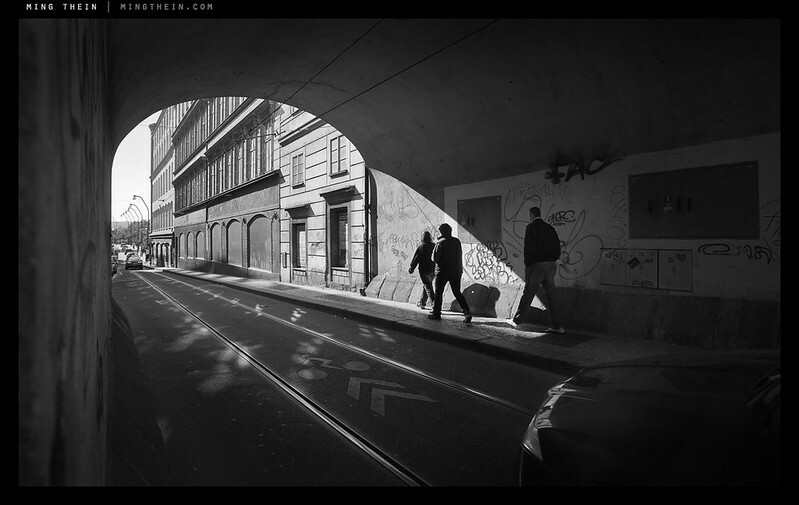 However, in both photos the shadows of passers-by play a major role in altering the context. The human element in all of the photos evokes an emotional response and a connection to the landscape, street or architectural content that would not exist without the people. In both cases, faces clear and faces indistinct, the differing reactions are, to me, simply the evolved human animal that we are. Where the face is clearly visible we look for an emotional state; where the faces are indistinct we are mostly just aware of human presence. This would seem to be survival instinct. With the exception of the two shots where the faces are clearly shown, there is an emotional response to the human element, but not to the “person”. In those I was not particularly drawn to study the “person”, but to react to the humanity in a greater context. As always, marvelous photos and writing. Thanks. Thanks Carlos. By showing – or not showing – the face, we change the overall message/ prominence of the figures in the image. It’s human nature to look for faces/ eyes first; this the way we communicate in real life, and images follow. But specifically not directing attention to individual faces feels odd and perhaps even slightly uncomfortable simply because it isn’t normal…and this I think is worth exploring. 3rd, 11th, and 8th are my favorites. The sun/sunlight in the 3rd suggest warmth in a monochrome, which I find pleasing. Similarly I enjoy and find interesting the combination of texture, contrast and warm color in the 11th. For me personally I’m not sure that modern society is especially unique in having ‘nameless’ people. I wrote something of that sort a little while ago. For example how many inhabitants of ancient Pompei can be named or how many subsistence farmers of the middle ages? Plausibly modern society has indeed become more impesonalized compared to past cultures (I’m not sure) but I’d say the issue of namelessness, or significance, has been a part of mankind’s condition since early days. Still if we look more closely, each individual can have a great deal of depth and complexity and I beileve it’s very nearly impossible to adequately tell the story of even a single life. How odd and stunning that such a complex being could still come and go like grass! Some people do make efforts to ‘make a name for themselves’. Some of that activity may be motivated by just how uncomfortable namelessness (insigificance?) can feel. But notoriety is not something really directly under our own control and all the less if we’re talking about a longer-lasting variety; the efforts toward being recognized are almost always at least somewhat selfish; and the drive for significance leads straight into terrible choices and behavior. The only valid and true answer I know is relationship ~ knowing and being known ~ and love. Your mention of this brought to mind of one of the most poignant and potent experiences that portrayed to me this temporarl facet of human life: it was walking stone steps that today have deep recesses worn down into them. I found it difficult not to be confronted in the moment by the numbers of years, and the numbers of people walking through, that must have been necessary for the steps to become worn in that way. Differentiation must be different…if everybody is known, who is special? If everybody has a billion dollars, where is the value in being a billionaire? It’s the contemporaneous anonymity than I’m referring to now. I don’t even know the neighbours on the same floor of my apartment building; we simply never see each other because our lives are so different and they never cross. Same thing goes for most of my friends. I’m sure that wasn’t the case in Pompeii. Consider the nameless and somewhat commoditized people represented by your images. How can all of them experience relief from that condition? I suppose that’s true as a form of argument yet the language itself might inform about human nature. Nameless, faceless, and commoditized all seem to bear negative connotations. One could try to argue the side that those terms are in fact positive qualities that human nature desires to attain to, and it might stand as an academic exercise of sorts, but if one of us were to go home and tell his wife that he experiences her as a nameless and faceless commodity I doubt that it would go well in the home. Being special in human terms generally seems to carry positive connotations, as in “If you do the same thing as somebody else who gets recognised for it, then you’re the follower and nothing special anymore.” People want to create outstanding images. Domestic relationships probably go a little better when we tell our wives they are special. The wife analogy is different, and to me, one of the reasons why I don’t share personal/ family images. I don’t think they need to be experienced by others, nor would I want them to be. Does that mean your images of nameless, faceless mankind are mainly dealing with the marketplace and public life, rather than broader issues of human existence and individual significance/value? Yes and no. It depends on the image and the situation. Some are certainly focusing on the transactional. Cool shots. I like them very much. 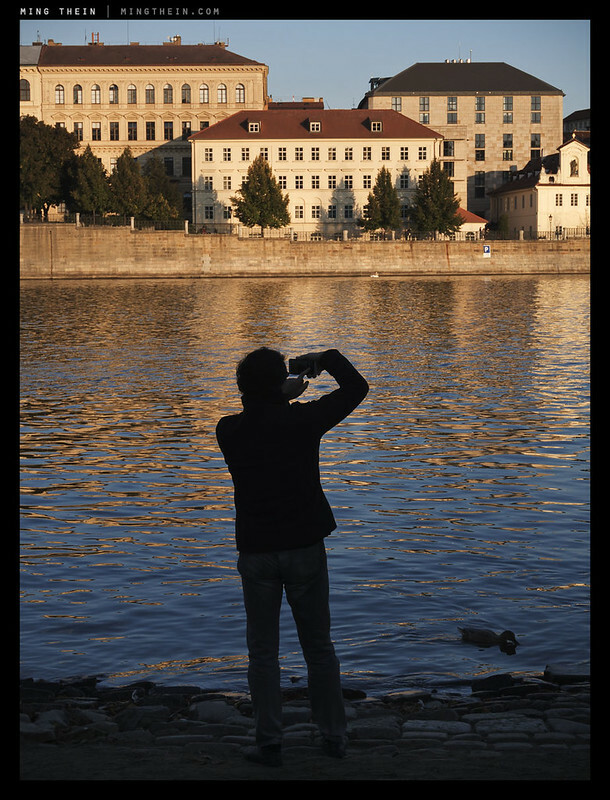 Funny: I made a similar shot when we were in Prague last year. It took me a moment to figure out how that one worked. Very clever! For me, the musician is a notch above the other photos. It has an additional layer of depth due to the contrast between the “real person” and the soulless/distant audience. Strong subject but still so many interpretations. The one with your own shadow is almost as good. The statue becomes more alive than the tourist, though we know it should be the other way around (or should it?). Great way to stop the viewer to think. 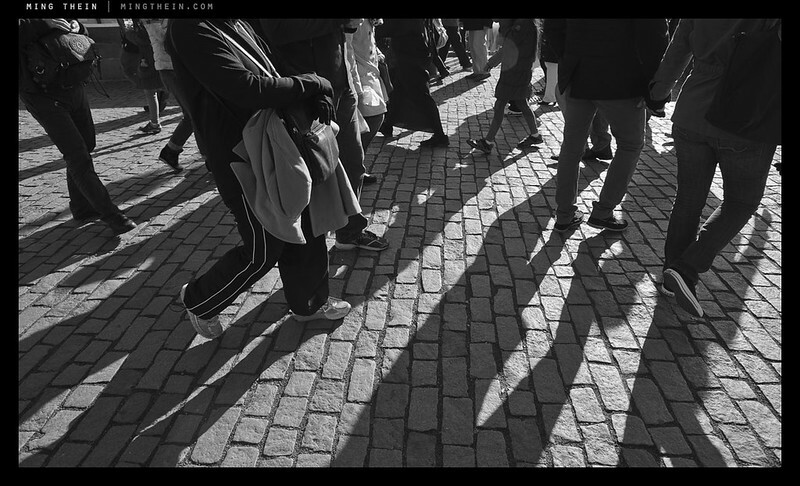 At the other end of the scale, I find the ones with lots of shadows of legs to be the weakest ones. They have an idea but are lacking a strong subject and aren’t visually that pleasing either. You see such photos when someone gets an idea but does not or cannot take the execution all the way to a great photograph (or is perhaps still experimenting). Thanks for sharing, it is interesting to see the journey, and I think I learned something too. Ming, your kind of street photography is no doubt well thought out and well executed, but I’m afraid many of the pictures in this piece will be panned by Flickr hcsp crowd. To me your street pictures seem to be leaning more towards urban landscape photography than people photography. Now both landscape and people are important to street photography and what gets more emphasis determines specific flavors of street photography. I wouldn’t presume to speak for Ming (and I’m sure he’ll be along here in a while), but the people on that “hcsp” group on Flickr are some of the most pretentious, unpleasant characters I’ve come across. I can think of few things less important than being “panned” by them. Mark, you maybe right about the behavioral issues of the flickr hcsp people, but I was referring to their general artistic sensibility. 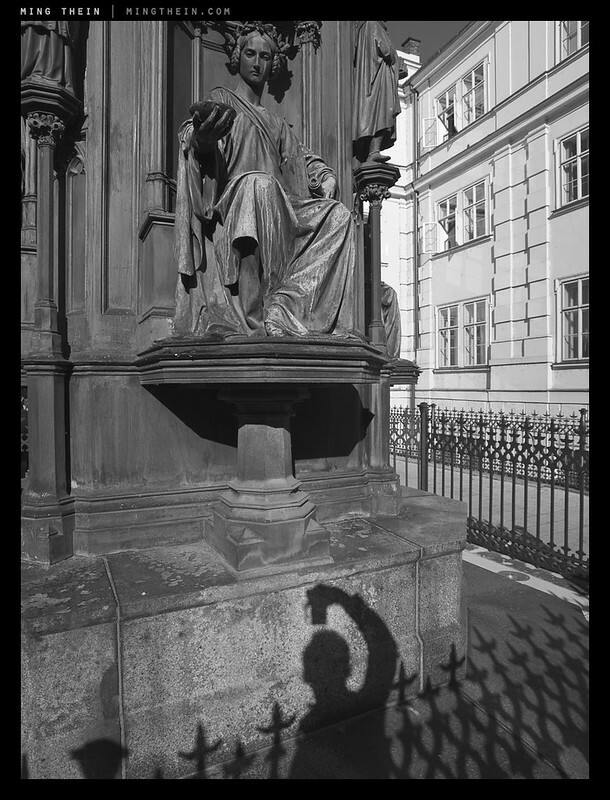 For example, take the picture of the street singer or the statue and the shadow or the Prague river side. Such pictures are a strict no in hcsp. Even outside of hcsp, many hold such pictures with a lot of reservation. For instance, here is one street photographer on pictures of street artists: “don’t expect to impress anyone with that type of pictures” [http://www.yanidel.net/2012/11/01/7-common-beginners-mistakes-in-street-photography/]. 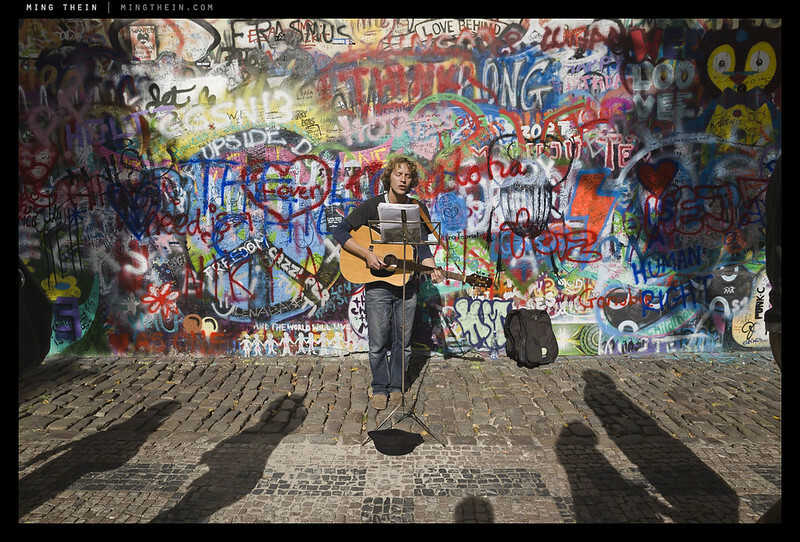 He lists taking pictures of street artists and street art as two of the seven common mistakes! Of course, a great artist will throw such ‘rules’ to dustbin and produce art that will silence the worst critics. I’m glad Ming is persisting with his artistic drive and vision rather than succumbing to current trends. Interesting to note that the author of that article often breaks his own rules, which hints at how important (or not) they really are. I like a lot of his work, including the images where he breaks his own rules. Hey Peter! Sorry, you have misunderstood me. I’m not accusing Ming of anything here. I was pointing out the aesthetic preferences of a significant section of street photographers including those in the flickr hcps group and how that differs from Ming’s. Ming knows what he is doing unlike many who get swayed by the trends. His street pictures go against the current trends. Apologies if I sounded like I was accusing Ming. Don’t worry about it. I don’t think it came across that way, and my guess is neither did Peter – it did feel as though the comment might have made more contextual sense in the other post though. Hello Ramana. Thanks for your reply. We’re all good. Flickr HCSP: that’s fine, I don’t care in the slightest: I’m shooting for me, not for them. People need context to tell a story. Raghu Rai said several years ago “There are a lot of photographers now who have been greatly influenced by the Western style and which they have woefully inflicted on Indian situations. It upsets me a great deal. It reveals the shallowness of their creativity.” Later in another interview he said “Lee Friedlander’s work was very stylized and special but then I thought his work was born out of his personal needs and the kind of life he was leading there. Similarly many other photographers, Bresson or you can take anybody else, the photographers start copying and following that style. And when you inflict that style, you can get popular pictures, acceptable pictures, but this is something which must be born out of your personal purge and experience, that you want to convey something specific in your way.” Shooting in Friedlander’s or Winogrand’s or Meyerowitz’s style and seeking their content in our context produces are that does little justice to the context. He’s right – it’s not just the context that suffers, but something much simpler: you cannot develop somebody else’s style to its fullest potential. Just not possible. You will always be copying and guessing – they will find it intuitive. Developing your own style is the most difficult but most important thing a photographer has to do to make it to the next level; only at that point can they really translate what they actually see into an image. Lots of soul here… Wonderful set! Love the 3rd and 4th shots. Silhouettes always capture my interest…the contrast and mystery perhaps. As always, well done.